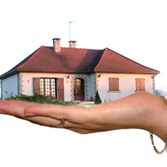 Boss Realty & Appraisal Services isn't coming to your home to find things that are wrong. We're coming to your property to disclose real market value. Determine the true value of a home you're selling or buying with detailed appraisal services from our company in Lakeport, California. If there is something you don't wish us to see, take care of it before we arrive. We work for the lender, attorney, or appraisal management company, and so we it's our responsibility to provide data on everything we see. You usually have plenty of time to prepare for our inspection of your home's interior and exterior. 1. Ensure trash cans, bicycles, excess vehicles, debris, and similar items are put away or out of sight. 2. Make sure all rooms are accessible, beds are made, and sinks are empty. 3. Keep garage doors closed. 4. Secure your dogs. Even if your appraisers love animals, they don't appreciate being jumped on, having their car door scratched, or being bitten. 5. Lower toilet seats and lids. You'd be amazed at how many pictures of open toilets arrive at your lender's desk each day. Contact us in Lakeport, California, to request a service for an appraisal.